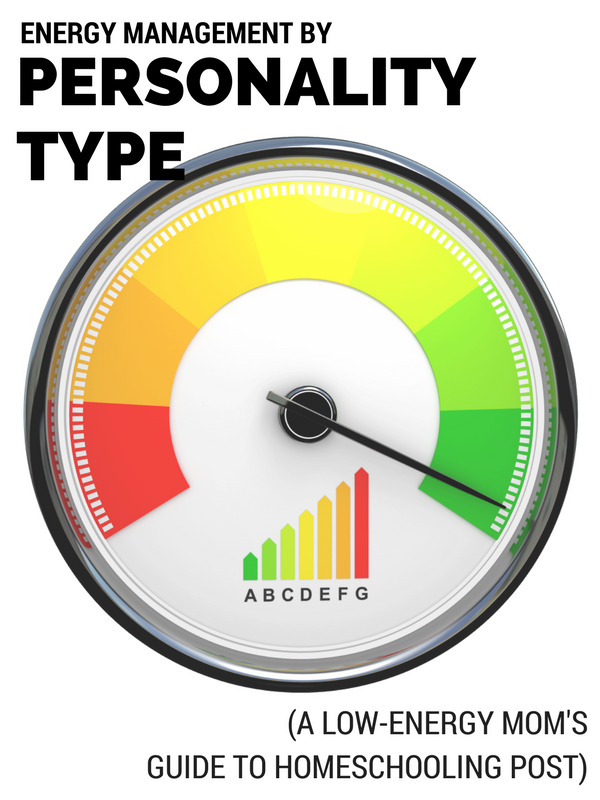 Personality type is an oft-overlooked factor in troubleshooting low energy issues. Some personalities tend to be high energy and others low energy, but even high energy types can burn out and even low energy types can keep trucking along with surprising persistence. When we know our personality type, we can readily figure out what kinds of activities we should add for energy renewal, what type of activities we should avoid as energy drains, and what we can do to grow our capacity over time. In essence, the Myers-Briggs personality typing describes different ways of brain wiring. When we work with the way we’re wired, we’ll be energized. When we have to work outside our zone, we need to build in recovery time. Energy management not as simple as the introvert/extrovert dichotomy. In reality, each person has both a preferred way to introvert and a preferred way to extrovert — because everyone needs both internal processing and external dealings. Whether you are an introvert or extrovert is simply describing which process you prefer over the other. It’s a starting place for energy management, but not the only factor. To get the complete picture of how each type uses, gains, and loses energy, you need to look at what those letters signify: differing cognitive functions. Each personality type has a different cognitive function “stack” — and it is your stack that gives the clues you need to build and repair your energy levels. The second letter in each type is the way that type prefers to take in information — by intuition (abstract leaps and connections) or sensing (concrete details). Every type uses both, but one is preferred. The third letter in each type is the way that type prefers to make decisions. If you prefer thinking, you want to keep decisions logical and impersonal, troubleshooting and problem-solving. If you prefer feeling, you choose your course based on how it will affect others and on your own personal set of values, prioritizing harmony. Every type actually does have and use both thinking and feeling, but will prefer one over the other. Now, for the surprise twist. These four functions — intuition, sensing, thinking, feeling — are actually eight. Each of them can be introverted or extroverted, used for internal operations or external activity. Each of the Myers-Briggs types has a primary function, a secondary function, a tertiary function, and an inferior function. Every primary/secondary pair has one introverted and one extroverted function, one perception and one decision function. The lower two will be sort of a mirror pair of the top two. This is key to understanding how to manage energy for your type. If everything you do requires you to act outside of your primary function, you will be worn down quick as anything. It’s extra work to use anything other than your top one or two functions. On top of that, the choices and perceptions you make with your non-preferred functions are less accurate, less productive, and less dependable. This can create a spin-out of suboptimal living that takes its toll and drags down everyone your choices affect, not only yourself. On the other hand, if you have time every day to use and act within your preferred function, you actually gain energy and skill and confidence. It has less to do with the activities and responsibilities themselves and more about how you approach them and set them up. As mothers at home, we actually have a lot of freedom to do things “our way,” and when we use that freedom wisely, we can increase our capacity and confidence strategically, decreasing our stress and anxiety by playing to our strengths rather than trying to work in our weaknesses. This happened with me in housekeeping. Cleaning was always a huge struggle for me. Alphabetize a bookshelf? I’m all in. Tidy up and vacuum? Ugh. Cleaning is primarily an extroverted sensing (Se) activity — an activity that requires taking in the actually, physically surroundings and caring enough to make it look better. Se is my inferior function. My preferred function is Ni — introverted intuition. I live in my head and prefer to ignore physical details. When I started realizing my weaknesses and my strengths in this area (before I had the personality terminology, which clarified it even more), I stopped trying to rely on Se (my ability to see what’s actually there *and* care) and engaged my Ni. First, I convinced myself on a philosophical and theoretical level that the way I kept house mattered intellectually and spiritually — an intuitive’s version of “real.” Then, I used cleaning time for listening to audio books or thinking about a particular issue I am wrestling with. By doing this, I tied an activity that isn’t naturally in my strength with one that is, which helped me engage in the process and even look forward to it. But the real gold mine of energy management by personality is when you can find a way to engage your primary and secondary function at the same time in your activity, whether it’s a hobby or real life. If you can get both of your top functions working together, taking in information and acting on it in a synergistic way, you will grow your capacity, grow your stamina, and gain energy — the energy that builds from a state of “flow” or being “in the zone” where you don’t even realize time is passing because you’re so engaged in what you’re doing. Using your top two functions together is when you feel “all in” — because you are. I’ll use an INTP example, because I know there are a lot of INTP moms using AmblesideOnline. An INTP’s primary function is introverted thinking (Ti). Ti likes to see internal, logical consistency and wants to achieve accuracy within a logical framework. An INTP’s secondary function is extroverted intuition (Ne), which means they love to take in ideas from all sorts of sources — books, experiences, conversations. Ne loves to have many intellectual inputs. Being in a Ti-Ne zone looks like research — taking a lot of sources and distilling it into a cohesive, logical, accurate framework. As a counter-example, let’s look at an INFJ. An INFJ’s primary function is introverted intuition (Ni). Whereas the INTP’s extroverted intuition loves to take in ideas from numerous sources, the INFJ’s introverted intuition needs time and space for ideas to connect up within her own mind — the “sources” are racing around internally, and there must be enough quiet to let them spark into insight. The INFJ’s secondary function is extroverted feeling. This actually does not mean the INFJ’s feelings are worn on her sleeves. It means she takes in the feelings of everyone around her and makes decisions based on how it would affect group dynamics and harmony. Thus, INFJs are often pegged as counselors because that’s their “all in” mode: evaluating others’ perspectives and needs and coming to insightful, helpful conclusions. Rather than using our top two functions, we often fall back to our tertiary or inferior functions in times of defensiveness or stress. When we do so, we use those functions poorly, not in the same way a person would who is using them as a primary or secondary function. So, for example, someone using introverted feeling as a primary or secondary function would make sure she was always honest and acting with conviction. However, someone using introverted feeling defensively will be selfish and self-centered. Someone using extroverted thinking well is an effective manager who knows what to do and does it. Conversely, another using extroverted thinking defensively is controlling and inflexible. When we try to rely on our tertiary and inferior functions, not only are our actions and choices, well, inferior, but our energy is drained much more rapidly and cannot be replenished without concentrated time in our “zone.” But the more we turn to our defensive stances, the harder it becomes to practice our preferences. However, there is still value in knowing and using your inferior function. We can watch for behaviors that indicate we’re slipping into defensiveness or stress reactions. We can also choose effective play activities based on our inferior function. When we’re busy, even using our primary function, we get worn down and need a break. To switch off “work mode” and turn to playfulness, refreshing amusement, and effective escapism, we can deliberately choose an activity that requires our inferior function. For example, an INTP’s inferior function is extroverted feeling, so to let loose she can hostess a party, speak in front of an audience, or go out to lunch with a group of friends. An INTJ’s and INFJ’s inferior function is extroverted sensing, so making something beautiful, delicious, or artistic is a healthy change after being overworked (a strong INTJ temptation). An ESFJ’s inferior function is introverted thinking, so a way to productively disengage her rather intense nature is to spend a few minutes doing logic puzzles like Sudoku. So if you want to build up your productive energy, make sure you spend time daily in your primary function, give yourself a hobby or find a way to fulfill your daily responsibilities in line with your primary and secondary combo, and choose an occasional break that purposefully engages your inferior function. Find a free a one-page reference sheet about cognitive functions at Simplified Organization. And let’s talk and troubleshoot personality and energy management in the comments! 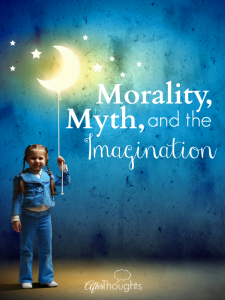 Mystie, a second-generation homeschooler, educates her brood of 5 classically, seeking to cultivate wisdom and virtue in herself as well as her children through discipleship and a lot of books. Mystie writes about homeschooling at Simply Convivial and about life management at Simplified Organization. You can also find her on Instagram and YouTube. I am seeing a lot of Introverts in homeschooling. I am an ENFP. 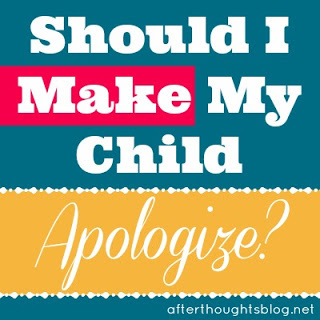 My children are currently at a private school and we are thinking of going back to homeschool, it has been our goal we just don’t know if I am ready yet. I also have chronic illness. So between my personality type and low energy I am feeling that doing well with homeschooling is going to be an uphill battle. I have been doing much better with budgeting my energy the past few years, but part of that means that I am missing out on relationships outside of the home. I know that so much of it is relying on the Lord and finding what works for you but any suggestions would be helpful! Thanks! As an introvert, I usually feel home schooling is more for extroverts! You are with people – even though they are your own children – all day, every day. Additionally, in many communities, there are far more get-together options than a person can possibly do, so you ought to find plenty of stimulating fellowship for your extroverted personality type built right in to the home school activities you choose. You will be doing life with these home school moms; they will become dear friends. So, be encouraged about home schooling – regarding your extroversion, anyway. Where can we learn about personality type and stopping the feelings of being overwhelmed? This lead to a filthy home, mom stays laying on the couch, kids don’t read even after18? Anyway, I’m an ENTJ …do you have any suggestions for me!? Si is always comparing now to either how things were or how things should be – a standard rooted in the past/traditions/conventions/history/experience. It’s different from Ni in that Ni is always looking toward the future and what can be done now to prepare and adapt. This was confusing. I think it’s going to take more than one reading to figure out how it would be helpful. I am ENFP and have found that I have found if it’s not fun I am not as interested. Which is not to say I don’t know how to work hard. 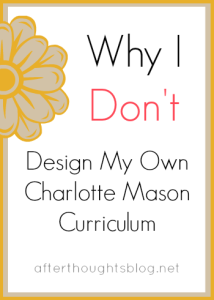 But basically if I am hitting burnout I need a little getaway, even just a day, and something to make homeschooling exciting and fun for me to teach. I read constantly! 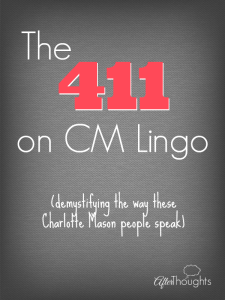 I am very intrigued and dying to know more, but have an incredibly hard time understanding the letter combinations! Maybe that’s insight into my personality! Haha! I have taken the personality test multiple times 😉 and am clearly an ISFP as every time its pegged me, although it also adds “T” to the end (turbulent?). I also enjoyed reading 16personalities.com description of how these work for you. It can be lengthy, but it’s right on! ISFP is a Fi-Se combo – so you’d want to find ways to beautify your home, a hands-on craft to develop that relates to something you feel strongly about, or a hobby like baking or sewing where the results go to people you love. Fi is about authenticity & conviction and Se is about making real things or beautifying what’s around you (including yourself, also – you might want to spend some time updating your wardrobe or figuring out a good makeup routine or something like that). Thanks, that helped me too. I’m an ISFP-A who struggles with fatigue and procrastination. ? Excellent explanation of these complicated concepts. I’ve always tested as an ISTJ, and some of the descriptions do feel very true to me, but I have never connected very much with introverted sensing. I just can’t picture what it’s all about, which makes me wonder if I use it at all! I also really tend toward P traits – spontaneity, leaving things to the last minute, clutter, don’t like to make the final decision and be boxed in… I was raised by an ISFJ mom who very much looked down on my ESTP dad and I wonder if I just got the message that IS_J is what I SHOULD be. However, the other profiles and cognitive function stacks don’t seem to fit either. I would love to get to the bottom of this, because I’d love to get in that flow state more often! I’m a former homeschooler, and didn’t realise till our kids went to school how completely drained I was! I have had them all home sick these last two weeks, trading places at school or all home at the same time, and I’m feeling that same way – trapped, drained, no energy, a little bit hopeless. 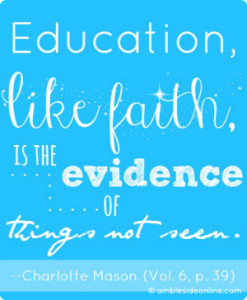 I would like homeschool to be an option in the future (we currently live overseas where my husband’s company pays for a private school, and the one we’ve chosen is like a group homeschool), but I would really have to figure out something that brings me life, rather than being a martyr for the cause! Does anyone know of a resource that lists what activities engage which functions (i.e. along the lines of cleaning being an Se activity)? Thank you so much for this series! It’s given this new-to-homeschooling mom some peace!! This is great info. I’m trying to really think this through–I’m an ISFJ so Si-Fe-Ti-Ne. I’m having trouble taking it from information to application though. Any insight? Relationships, particularly family or traditions, will engage your Si-Fe together, even though you’re an introvert. If you need alone time, a relatable novel or movie with interesting people or relationship dynamics is a good option. That makes sense! This is really helpful. The more I read into this, I’m really seeing how true this is for me. Thank you for the Personality Hacker suggestion! Mystie, you need to put together a booklist for each personality type:-) I have been loving all your personality type posts and the master class. So fascinating! Forgive me, I’m slow. I totally don’t understand your first chart vs. the second on this page above. 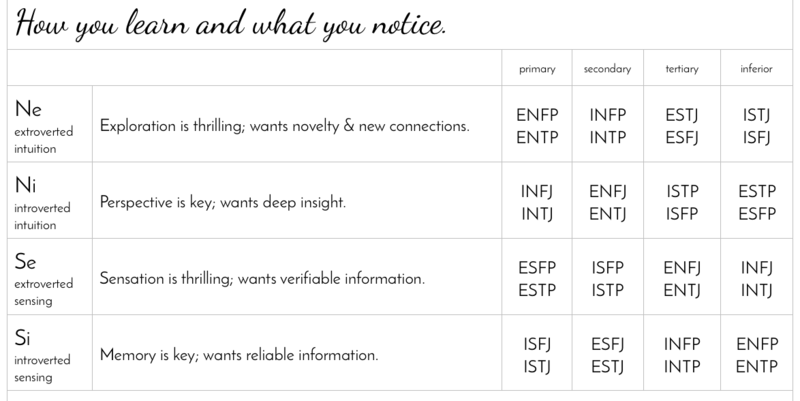 My personality type isn’t on the second chart as a primary. (I’m the villainous INTJ 😉 ). 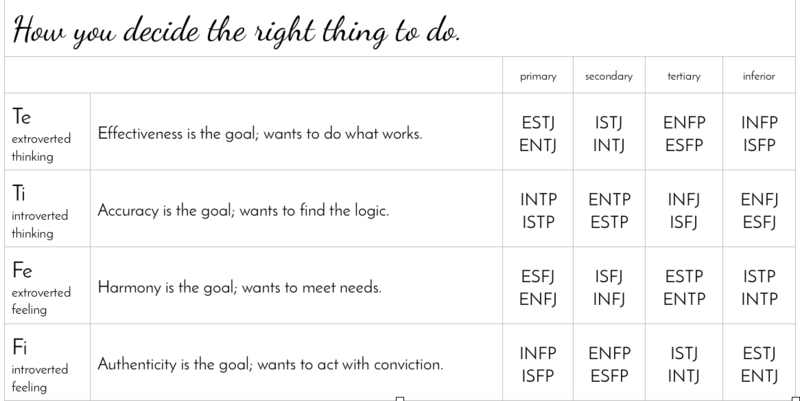 So, does that mean I make decisions as an INTP? And when you talk about using our first AND secondary to find energy, do you mean your primary in the first chart and primary in the second chart? Or Primary and Secondary from only the first chart? 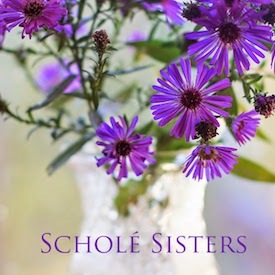 I also just re-listened to the Schole Sister’s podcast on Schole for Your type – sounds like we mostly focus on the first two aspects of our personality to find schole? I love all your IN suggestions, so it must be correct. But wondering if I should be in tune somehow with the third aspect of my personality; is there schole for the Thinking (or Feeling) folks? Also, I thought of a few IN suggestions for Schole; what do you think about Journaling (vs. work writing like blogging), playing music for oneself (love the patterns of this, and although it is sensory seems to be less so when it’s just you and your instrument vs. trying to play in a band). Sorry – cognitive functions is really hard to summarize! 🙂 Every type is on both charts twice. INTJ (my type, also!) is Ni-Te-Fi-Se – yes, making decisions is our secondary but extroverted (so more visible, hence the J) function. Implementation of an ideas-driven framework or concept engages both Ni (insight) and Te (effectiveness). That’s why you’ll find a lot of INTJs in the classical homeschool world – classical is an engaging conceptual framework and there’s plenty of scope for us to dig in and make it happen. Oh my goodness, thanks! I get it now that you put it in a row (Ni-Te-Fi-Se)! Thanks so much! I see where I was reading the charts incorrectly. So, now I can totally see understanding my children better using this (albeit not hard and fast), especially in teaching them. Thanks for taking the time to answer. I really struggled with the concept (and that must bother my Ni 😉 ). I’m an ISFJ…I figured out my primary, secondary, tertiary, and inferior functions. Where can I look into how each of these manifest practically in certain activities for me? PersonalityHacker.com is a great site for more cognitive functions research. Oh my gersh! I loved this. 🙂 This explains so well why I as an INFJ was dying trying to do AO (I just wrote an entire post on it). It required reading from too many different sources and I felt like my brain was going to explode trying to keep it all straight for multiple kids. Also, would this explain why it is that when I am stressed or overwhelmed and need to work through whatever it is that is troubling me (or let all those thoughts that are running around in my head settle down long enough to make the connections) I turn to cleaning? 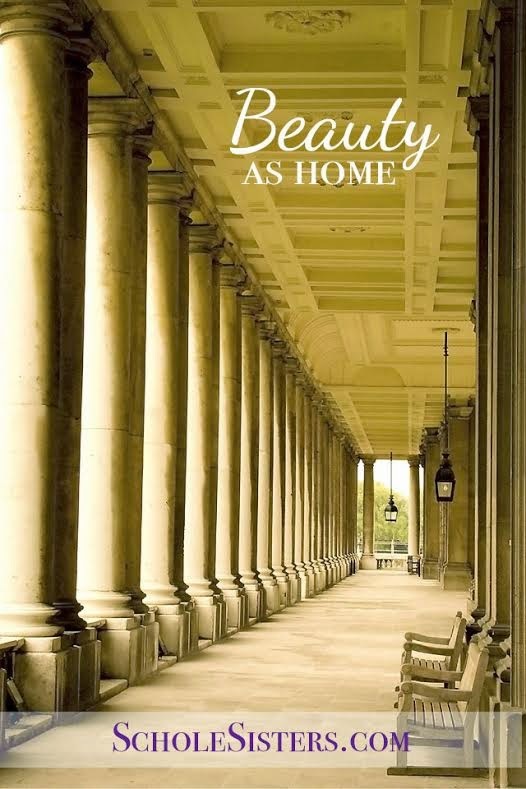 I cannot handle clutter and a messy house, but I’ve learned to let some of that go. But, when I need to re-charge so to speak, I can scrub a bathroom like it’s no one’s business. Does that make sense? Thank you so much for sharing all of this. It truly has helped me in my homeschooling journey! Amanda, AO recommends reading many books at the same time, but I know people who read in a more straight through approach. They read maybe two or three at a time but straight through, and then on to the next. I guess more or less using the book list, but not the structure. Does that sound like it could ease your input stress? Leslie, yes, that may have helped but really going back to moving to the beat of our own drummer has helped me to find our happy place again. We are still using some of the selections because they are lovely. But going all out…not a good fit! Dawn Garrett’s version of AO where all the kids are in the same year is another way to cope as an INFJ. Yes, Mystie, if all my kids were close in age, I may have been good with that. Though, I like coming up with my own curriculum. I think it helps me to take all the ideas that I have swimming around and plot them out on paper with assigned resources. I need to understand how the curriculum choices fit into the larger picture, so when someone else chooses them for me, I loose that component and it makes me twitchy. And more than anything, I want to be the one who develops the big picture vision and then work out the details of how that will come to fruition. Yes, an INFJ to the T.
Amanda your comments have really helped me to understand myself and my method of homeschooling better! Thanks for sharing your thoughts. It’s hard to to let of go of some of the “required” books but I have to do what fits best for us. This explains so much why I’m having such a hard time with AO! I’m right on the line between INFJ and INTJ but I tend to lean INFJ regarding my children and INTJ regarding work… anyway, 4 kids in 4 different years was way too much and I lost my love for the CM style in the process. When I was making up my own it was always an adventure and great fun and I never had to argue with my son about a reading. I pray your year moves in a more peaceful direction! Can someone please clarify what AO is? I’m an INFJ and will begin homeschooling my 1st grader in the fall. Honestly, my complete sanity has been in listening to Schole Sister’s and Simply Convivial Podcasts. I really feel the need to pull him out of traditional public school to slow our lives down and allow my kids to mature and learn from a restful pace rather than the prescribed pace I have witnessed in Kindergarten alone. 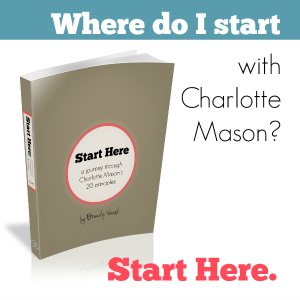 It’s a free Charlotte Mason curriculum available online here. The website can be kind of confusing, so you might want to watch my how-to video before you check it out. Thank you for your swift reply! I will check it out soon. Your Aftercast podcast has been wonderful to listen too as well. I cannot tell you how much you ladies have helped me in beginning my journey into Homeschool. It has been such a tremendous blessing to me. INFJ here. Please,direct me to blogpost. **sorry that comment should read: he has a very black and white view. LOVED this! In our home I am an INFJ, my husband is an ESTP. He has a very black view of what housework and homeschooling should look like. To me, it’s not black and white, but a matter of preference. Frankly, I find it exhausting. 😉 Every time I try to do things his way I burn out quickly. This article helped put into focus why we both struggle with certain things and how we each operate. It would be so fascinating to see a list of what curricula/types of curricula different personality types are drawn to. 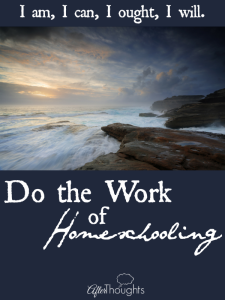 I suspect my homeschool burnout comes from schooling the way I *think* I should vs the way that truly works best for me. Just a thought..
Didn’t you make a resource with personality types and homeschooling “styles”?? That was really helpful when I read it, but I can’t find it now. I’m struggling to see what being “in the zone” would look like for me as an INFP. I get the exploration and new connections, but not so much the authenticity part. :/ Any ideas? INFPs might have a exploration hobby (Ne) that has meaning or significance to them (Fi) – stamp/coin collecting, beer/wine/coffee tasting, geocaching, visiting art museums, artistic or authentic cooking or baking. They might also express Fi with the Ne through art – writing (often fiction), painting, drawing. Some of that “acting defensively” reminds me of the “daemons” in CM’s book Ourselves, e.g. that curiosity is good, but only if applied to a worthy object, and an appetite for food is good and necessary, but obviously not taken to extremes. We can see and use positive character traits without letting them rule us, or allowing them to turn into negatives. I’m an INFJ who also couldn’t stick it out with AO. Once my second kid started, I couldn’t keep up with the reading. Now it’s a few years later and I’m contemplating separating my kids because the thought of reading quietly to one kid at a time, instead of in the middle of a four ring circus, sounds SO appealing. Combining my oldest two has worked great, but now that the third is school age I’m having a hard time coming up with a balanced plan to include everybody. Having four separate school threads might be too much for me tho. Maybe I should find something in the middle? Separating some kids but leaving some combined? I use to love planning school, down to which chapter in which book we would read on any given day for 36 weeks. Lol. Not anymore. Now I want something planned out for me, tho none of them are perfect. I’ll tweak that schedule of course, but a little tweaking is easier than coming up with plans for three (soon to be four) kids from scratch.